Shopify blueprint is a 9 part video course teaching you how to build your e-commerce empire with Shopify and generate up to 6 figures or more every month. How Would You Like To Share A Slice Of Pie In This Million Dollar Business With Shopify? By Learning From A Shopify Insider, You Will Be Able To Follow The Footsteps and Achieve Similar Results In No Time! Besides, having an online business ensures that you’re able to work from home, budget friendly, save operation cost (such as inventory, office, utilities bills etc), flexible working hours, most importantly, you will be able to generate more cash flow rather than having a fixed, conventional full time job. This is my dream! Unfortunately, the route to my dream is full of obstacles and problems. Building a shopping site isn’t as easy as I thought. I realized that I need to possess quite some technical skills such as website coding and photo editing skills. Being forced to learn all these from scratch, I bought a lot of training courses on how to build an online store but none of them bringing in results. I have tried a few e-commerce platforms, one after another. And I bought the training courses one after another too. All brings me nothing more than disappointments. Through a friend, I get to know an acquaintance that happened to be a top merchant of Shopify! He shared with me his journey of getting started his full time and flexible career with Shopify. Besides, he also shared with me how he has gotten to be one of the top sellers within 3 months! 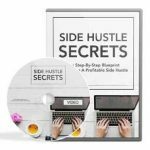 I took this opportunity to squeeze as much information as I can from him and apply to my Shopify project too! I started to see results in just 3 days! The sales are increasing day by day and the conversion is surprisingly high! Now, I already resigned from my full time job and focus on My Shopify Empire. Back to my journey with Shopify. 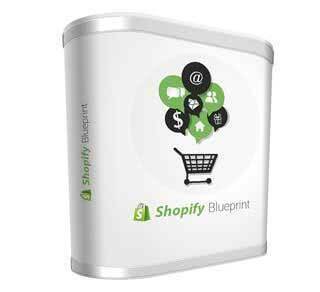 Out of so many e-commerce platforms out there, why have I chosen Shopify as my ideal platform? Whether you’re a start-up, business owner, affiliate or dropship agent, there is nowhere better than Shopify! Why? You know the epic reasons! Zero Technical Stuff: In the world of internet, website is basically your “store”. Having a website is one of the most important things to set up your online business. If you’re worry that you can’t do it or you don’t have the budget to hire someone, fret not! Shopify has simplified everything for you and even if you possess no skills, you will be still able to do it without hassles! Budget Friendly: Whenever you’re thinking of to start a business, money is definitely the first thing that comes into your mind. Shopify has seen this coming and they have a counter measure to support your back – a budget friendly pricing! It’s okay if you don’t have a few thousands to spare because Shopify offers a friendly budget of as low as $29 per month! Highly Responsive Support Team: Whenever you encounter problems, Shopify is always be there and ready to solve your problem. There is a highly responsive team ready to cover your back. Whether you need a specialized add-on app, a custom design, or help marketing – Shopify has a vetted network to help you out. Simplified Navigation Control: As an e-store owner, you need to be in control of administration every day. In order to elevate your efficiency, Shopify has come out with a simple and easy to use control panel for you to handle everything at ease. You can get started in no time even if as a newbie! Multiple Payment Gateways: Once your store goes online, everyone from all around the world will find your store. Since this will be a global phenomenon, Shopify has prepared multiple payment gateways for your customers to give them no chance of rejecting your offer due to the excuse of “I don’t have the payment account you have provided”. Store Optimization: Most of the e-commerce platforms do not take care of your business, but Shopify does! It offers store optimization to assist you getting noticed by your prospects. Shopify makes sure that you have a higher chance of closing more sales! This feature alone already worth and exceed the total monthly fee you have been paying! In order to get started with Shopify, you have to sign up for one of the monthly / yearly plans. I will make a detail comparison to you and help you to choose the one that’s budget friendly. Shopify has taken care every technical stuff, the next thing you need to do is choosing an appealing template and you’re ready to go. Besides, I will teach you how to set up your payment and shipping methods too. 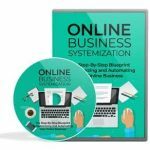 I guess this will be the most exciting module in this training course – you can launch your e-store in literally a few hours and start seeing results coming in! Selling your own products isn’t the only way to generate income. In case you don’t have your own stock and you wish to become an e-commerce merchant, I will teach you how to become an affiliate or dropship seller through Shopify. How Much Are You Willing To Pay For Million Dollar Income? I have tried to make everything in my blueprint as easy as possible for you to follow. If you follow closely, you will see similar results like what I achieved. The reason why I am making this affordable for you is because I want to prove my value for you. Besides, I have been through ups and downs and I know how frustrated it is for not being able to bring results. So, this blueprint will be a shortcut for you. In fact, my blueprint is simple and easy follow. I have eliminated all the technical jargons. I have even simplified hockey pockey theories into “human language” so that you can digest my content at ease. If you want to learn, you should learn from someone who is already doing it SUCCESSFULLY. Do not just follow those “self-claimed” amateurs that fork out money from you but not helping you with useful information. 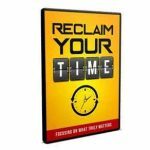 If you decide this is for you, add to cart and download your copy today!